What is this??? You can't order snus from EU countries to other EU countries anymore? This is totally crazy and I really don't understand what this thing is about. Isn't this discrimination? You can by chewing tobacco and cigarettes within EU, why not the Swedish snus? As I see it Swedish snus saves lives while smoking and using other forms of smokeless tobacco gives you cancer. Read a lot of blogs this morning and found out this news. After a really good weekend, reading about this just makes me sad. Where is the world headed when people put a ban on things that helps you quit smoking? I'll try to get a hold of some friends of mine who might have more information. Will keep you updated! 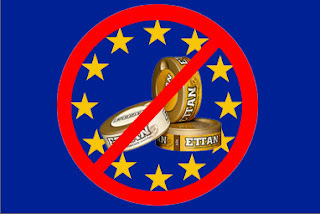 1 comment on "No more snus within EU"
For now, until all this is worked out, Northerner.com has a US warehouse that people can order from (those within the EU).